Who Wants To Be An e-Estonian? In what appears to be a chink in the armour of the conventional nation state structure, Estonia has become the first country to offer e-residency. In other words you can become an electronic resident of Estonia even if you live on the other side of the planet. Three questions spring to mind: Why? How? What happens next? The 'Why?' question breaks into two parts. First, why would Estonia do this? That seems easy to answer: it provides a potentially huge boost to the country's economy. Instead of limiting its banking and business services to physical residents and citizens of the country, Estonia's customer base has now been expanded to include almost anyone in the world. If the idea takes off, expect a glut of newly-formed companies taking advantage of Estonia's digital services, upon which the country prides itself. And expect other countries – perhaps even cities – to follow Estonia's lead. But why would anyone become an e-resident of Estonia? Convenience, access to the EU and the option of an alternative legislative business environment are three reasons that spring to mind. That's especially true for people living in countries where the business or financial infrastructure is either under-developed or plain corrupt. How would someone go about becoming an e-resident in Estonia? Not digitally; at least not entirely. You still have to turn up in real life. According to the relevant information leaflet, "To apply for one, you need to make visit a Police and Border Guard office in Estonia – there you need to submit an application and provide biometrical data (your facial image and fingerprints) for background check." Oh, and bring 50 Euros. This mild inconvenience may be reduced in a year or so, as Estonia has plans to allow sign-up through its embassies. So you wouldn't have to even leave your home country (yes, legally an embassy is another country, but you know what I mean) to become resident in a new one. It's important to note that e-residency doesn't grant access to the usual democratic processes such as the ability to vote, become an Estonian citizen or even enter Estonia physically. It's a separate, digital version of residency that, for the moment at least, has limited but tangible benefits. Again from the leaflet, "e-residency gives secure access to Estonia’s digital services and an opportunity to give digital signatures in an electronic environment. Such digital identification and signing is legally fully equal to face-to-face identification and handwritten signatures in the European Union." Plenty of businesses in non-EU countries are likely to find that appealing. What happens next? That's the big question. Observers from many quarters are watching on with interest, since this move has potentially major implications for the structure of law, legal representation, business domiciles, digital rights and much more. Some have hailed it as the beginning of the erosion of the classic nation state hegemony (e.g. John Clippinger at the Massachusetts Institute of Technology). While that might be true, the cynical mind would retort that if it were the case, it wouldn't have been allowed to happen in the first place. Nation states are notoriously protective of their power and won't relinquish it easily to intangible, digital successors. Still, it's an interesting step. Speaking as someone who had to spend two years physically in New Zealand before becoming a permanent resident, and a further three years before becoming a citizen, the idea of signing up for residency in a couple of days has a certain appeal. If I were living in a country with a corrupt regime and wanted access to one of the biggest markets in the world (the EU) it would be significantly more appealing. It also makes logical sense. Instead of defining national boundaries using ancient war-drawn lines or geographical barriers that haven't changed for millions of years, a more fluid approach to residency – and perhaps one day citizenship – would allow governments to compete on the basis of the facilities they offer to individuals and companies. The most appealing e-nations would attract the best digital talent. A free market in government e-services? Now that would be interesting. 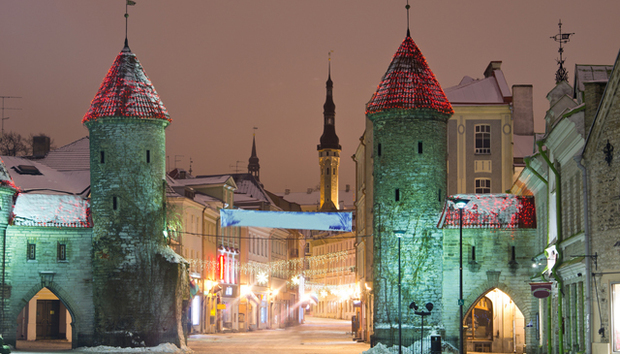 Estonia plans to grant the first of its e-residencies at the end of 2014. If you're interested in obtaining your own Estonian digital identity, this link will tell you all you need to know.